Delight Mom with a sweet strawberry dessert ensemble. These strawberries are large, fresh, juicy, and sweet, handpicked from among the finest in the crop. 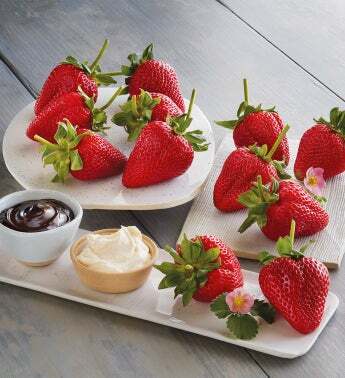 They're perfect for dipping, which is why we've included double Devonshire cream from southern England's Devon Cream Company, in addition to a rich chocolate dipping sauce.